يشكل فندق Daisy Bank Cottages بموقعه الممتاز في قلب ريشموند نقطة انطلاق ممتازة لاستكشاف هوبارت. لا يبعد الفندق كثيراً عن مركز المدينة، فهو يقع على بعد منها. في حين يستغرق الطريق منها إلى المطار حوالي دقيقة. يوفر الفندق بفضل موقعة الجيد وصولاً سهلاً إلى أهم معالم المدينة.
. إن Daisy Bank Cottages حريص على توفير الراحة للنزلاء، فلا يوفر الموظفون جهداً في تقديم أفضل الخدمات وضمان حسن الاستقبال. إن تخزين الأمتعة, صف السيارات, غرفة عائلية, مرافق للشواء, خدمة غسيل الملابس هي جزء فقط من الخدمات التي تميز Daisy Bank Cottages عن باقي الفنادق في المدينة. ادخل إلى واحدة من الغرف 2 وتخلص من عناء نهار طويل بمساعدة مجموعة كبيرة من الخدمات كمثل تلفزيون بشاشة مسطحة, حوض الاسترخاء, غرف لغير المدخنين, مكيف هواء, مكتب الموجودة في بعض الغرف. يمكنك طلب اللائحة الكاملة للخدمات في الفندق ومن بينها حديقة. يشكل Daisy Bank Cottages بخدماته الراقية وموقعه الممتاز، قاعدة مثالية للاستمتاع بإقامتك في هوبارت. As city-dwellers, this was the most refreshing experience, staying in the farm where chickens roam free. Great place, with a kitchen, laundry service, good heating. Also located near zoodoo zoo which was super fun, and near Richmond which had the best curried scalloped pie! Thank you! A very nice cottage and well-equipped. A warm, gorgeous and cozy cottage. We loved the location; being on a farm and encouraged to explore and enjoy the animals was wonderful. Our hosts were exceptionally courteous and hospitable; supplying fresh eggs etc., for our breakfast; and extended themselves in telling us some history about the property and how they run the farm. A bonus! 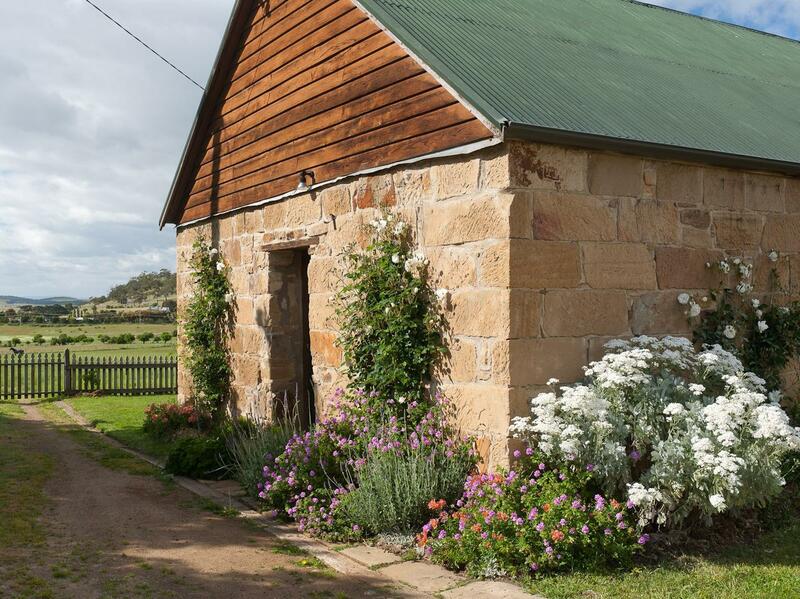 Overall, having stayed in two other properties, one in the north and in Hobart, we enjoyed Daisy Cottage the most; only sorry we didn't have more time there. We would highly recommend the whole experience. Thanks so much to our hosts!! Love the location and history of the place, especially since the farm has been kept by same family. 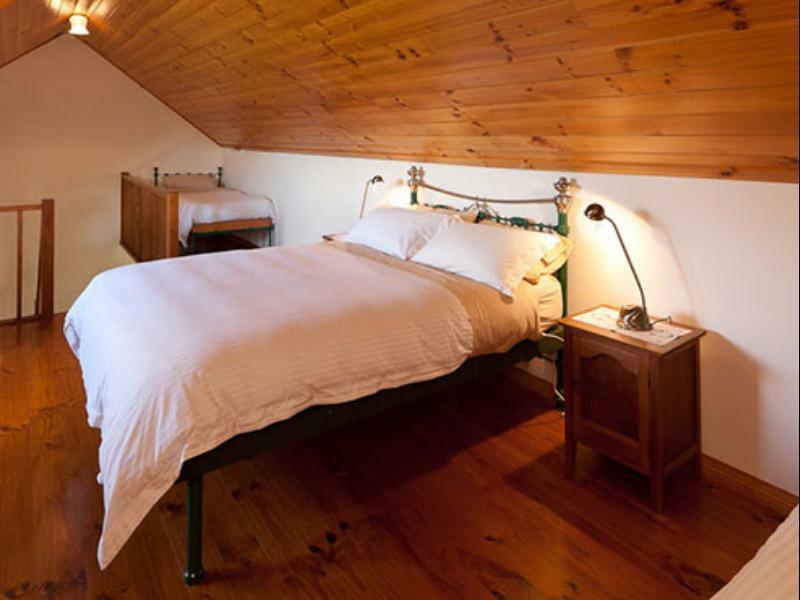 Daisy Bank Cottages are superbly outfitted with all you could want in holiday accommodation. A beautiful country setting but only minutes from town. Our cottage was warm and welcoming on arrival with breakfast supplies and friendly hosts. We would have gladly stayed longer. If you want to spend some nights in the nature, and with good view, it is one of the choices! The cottage was beautiful and well equipped. You can basically find all the stuff that you may need there, including a small kitchen. The owner was a nice lady living next door with her family. For your first breakfast, the owner is sweet enough to prepare some milk, bread, eggs and bacon in the fridge, in case you didn’t have enough food with you for the first night! The cottage is located in a farm, which you could spend some time exploring it! Animals there were friendly btw. The cottage however may not be suitable for those who hates insects a lot. You know, there may be a few worms or spiders on the wall at night, as it is so close to the nature. Also, it’s a bit isolated. If you need anything, you will have to drive back to Richmond unfortunately. Ben turned on the heater before we arrived. Really appreciate! 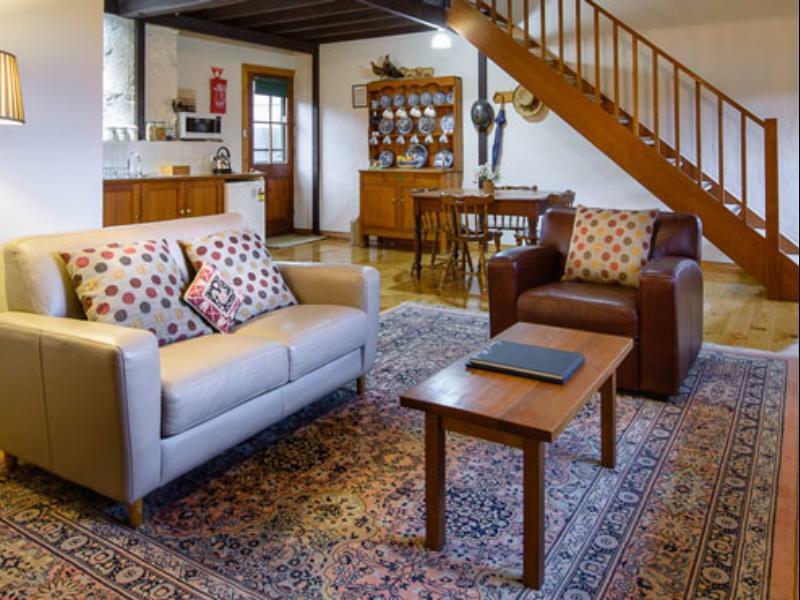 This is a delightful , very well furnished and excellent cottage on a farm. The owners are so helpful and we cannot recommend it highly enough ! Within walking distance of Richmond , a historic small compact town .Farm is also big enough for local walks and you are welcome to see what goes on eg lambing etc . Absolutely a gem of a place to stay - book it now and you will not be disappointed . We thoroughly enjoyed our stay in the beautiful stone cottage. It was spotlessly clean, spacious, cosy and warm. Hannah is a lovely friendly host. Needed a little quiet time, Daisy Bank was absolutely ideal. Perfect. I was warmly welcomed by Hana, daughter and three beautiful dogs. The cottage was gorgeous, everything was thought of for a comfortable stay! Will definitely return and highly recommend. Property owner Hanna, was delightful. We had a beautiful 2 story cottage. Full bath, full kitchen and lounge with comfortable sofa and chairs. Refurbished cottage is beautiful inside. Lovely "rain" shower head in tub/shower. Very close to Richmond. About a 7 minute drive. Richmond lovely old village with shops and cafes. B & B is in a rural setting. Quiet and peaceful. Dogs and horses were very friendly. The host and their children (even the dogs) give us warm welcome, the cottages are well prepared, clean and food also provided. Excellent experience you won't regret! Located on a farm. The cottage is gorgeous and very clean. Lovely fireplace and fully equipped kitchen (pots, pans, two ovens, water boiler, etc). Owner provides breakfast on the first day - eggs (fresh from their own farm! ), butter, bread, jam, ham, milk and juice! The bathroom is very modern with good shower and spa bath. Shower gel, shampoo and conditioner is provided. There's heating lights in it so no worries in colder days. Parking is right outside the door. Washing machine shared with adjacent cottage - washing powder and hanging racks are provided. It is a bit hard to find though as it's not on GPS so best not to arrive late at night since it gets very dark and there are wildlife on the roads (same as around all of Tasmania though). Would definitely book again if visiting Tas again! We enjoyed our stay so much. The cottage was warmed up when we arrived. Nice spa as described. The cottage is warm and cozy, with everything you need. There are sheeps, horse and chicken in the farm, a great experience for my little girl. Hana is very friendy and helpful. We had a very nice stay and love the farm environment.